MVCAN PHONE AND TEXT BANKING - Multiple Dates! Court Street Plaza, 4th St. between A St. and Lootens Place, Downtown San Rafael. 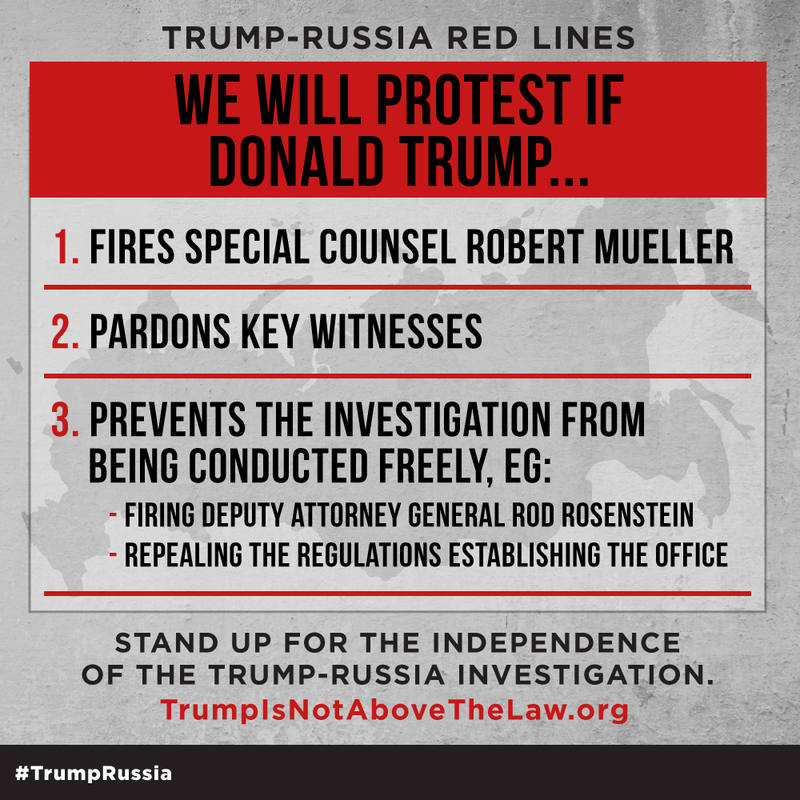 For advance planning, MoveOn has specified three Trump actions that can trigger a national call to protest peacefully at hundreds of predetermined locations. Over the past few months more than 1,100 people in Marin and 300,000 nationally have signed up! Massive and immediate turnout will be critical. Rallies and protests will begin hours after news breaks of a Mueller firing or another trigger event. 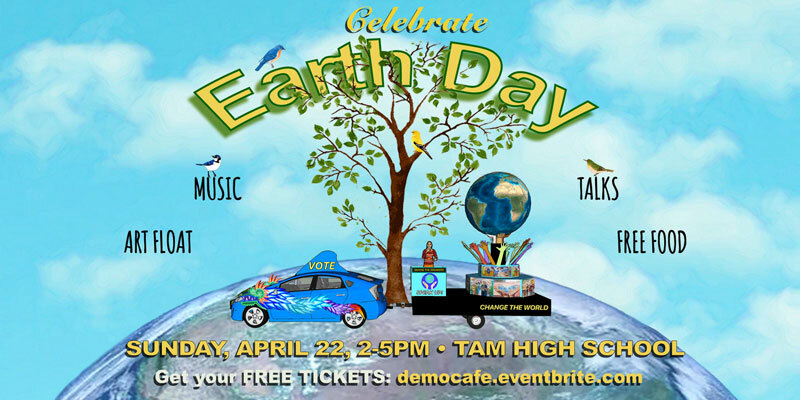 The MVCAN Eco-Warriors will be enthusiastically co-presenting this Earth Day event with Democracy Cafe and Tam Makers at our first-ever Mill Valley Earth Day Celebration, taking place at Tam High School. Learn more and get your FREE TICKETS online. Come celebrate with art, music and talks about protecting mother earth! • Hear Good Earth co-founder Mark Squire speak about sustainable agriculture. • Learn from environmentalists how you can help address climate change. • Witness the grand unveiling of our Art Float for Social Change! • Create your own signs and decorate our float with ideas for a better world. • Sing along with Reed Fromer, the Freedom Singers, Emma Spike and Twinkling Stars of Singers Marin. • Free food and activities for all ages. This is a free event for all ages. (Children under 13 must be accompanied by an adult). For more info, please email us at float@tammakers.org. Calling for MVCAN Volunteers to Help at the Earth Day Event! This is going to be an action packed event and we need MVCAN volunteers to make sure it all runs smoothly. • Ensure that our exhibitors have what they want and know where to be. • Do take-down and clear up. Join the fun and help out! To volunteer, please email Jenny or Marilyn. Thank you! HELP FINISH OUR ART FLOAT BY EARTH DAY! 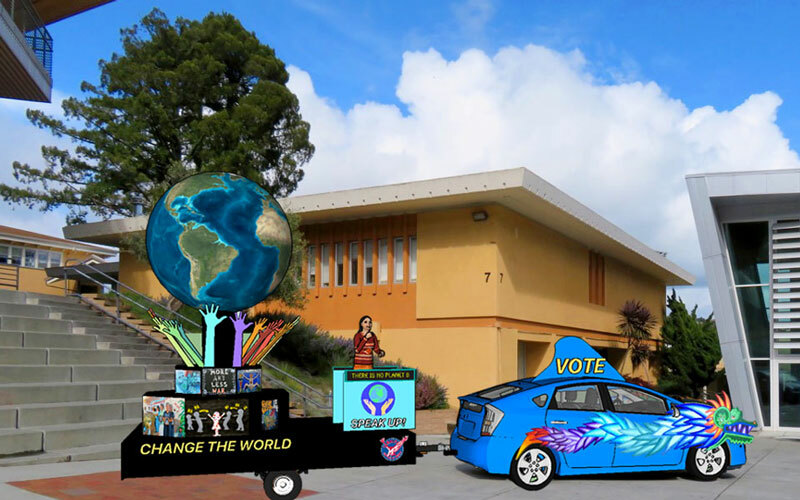 Thanks to all of you who helped build, design and paint our Art Float for Social Change this month! We made some great progress together: the giant earth is ready, the carousel is spinning, the waving hands are glued, the dragon is being painted, our trailer is assembled and we’re lining up performers! But we only have 10 days left before Earth Day and could use your help to get it all done! Can you join one of our special float parties this week or the next? Check our schedule here. If you can join us, please RSVP by email: float@tammakers.org to let us know when you’re coming. You can come anytime during these free sessions, even if it’s just for a couple hours. You can help in many ways: make art posters or signs, build float parts, paint them, assemble and set up the float, take photos and videos, perform or host our shows. We work at Tam Makers, in the Tam High School Wood Shop, Room 416 at the top of the campus: 700 Miller Ave, Mill Valley, CA 94941 (see directions). Bring your friends and families. Teenagers welcome. Spread the word in your community! Let’s participate and find out about which candidates reflect our progressive values regarding justice, immigration, and incarceration. This event is sponsored by ISOJI Marin City, in partnership with MVCAN and Indivisible Sausalito, and support from the Marin City Community Services District. Thanks to our awesome Civil Rights/ Immigration Team for making this happen! Ricardo Moncrief, Chair of ISOJI (left), with MVCAN's Peter Graumann. We've been hosting big crowds at our text/phone banks since February. We have an experienced, seasoned group of phoners and texters who also welcome many new volunteers. Leaders are always on hand to train. Thanks for all the hard work of our determined volunteers! 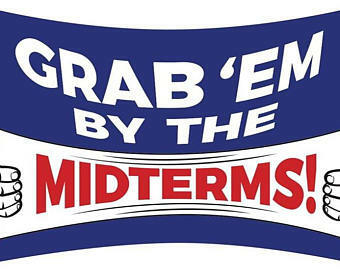 We're energizing Democrats in red states and districts across the country! We have a few upcoming opportunities to build on our momentum and call or text voters to vote them out! Here are our upcoming events. Please register at the link to make sure you can participate. For all our phone and text banks and training, you need to bring your charged cell phone AND your laptop, iPad or tablet, along with earbuds with a mic. Join us at our weekly Saturday phone banks! We'll be calling for the Special Congressional Election for AZ-08 April 24, to replace Republican Trent Franks. We'll also offer calls to CA-10(Modesto) and CA-21(Hanford). And of course, we'll be texting for Beto O'Rourke in Texas. We'll be calling for the Special Congressional Election for AZ-08 April 24, to replace Republican Trent Franks. We'll also offer calls to CA-10 and CA-21. MVCAN is co-hosting this phone/text bank at Marin Democrats' new headquarters on 4th St. in San Rafael! 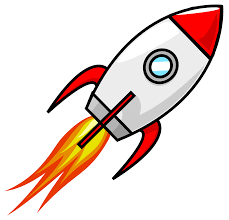 The office is at 1344 4th St. (at D) in San Rafael and will be open Wed. - Sun.12:00 pm - 6:00 pm. We have already registered and identified an unprecedented number of voters who want to unseat the Republican Jeff Denham! 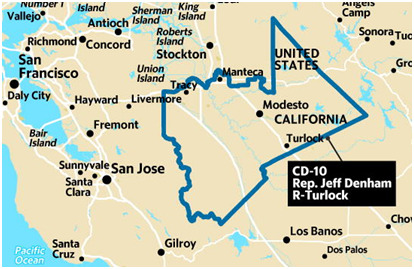 CA-10 now has two Republican candidates in the primary, and we face the possibility that they would move on to the general election in November. We need you to help us get every Democrat to vote in CD10 on June 5th! Register HERE to get more info and a carpool link. The Tracy Dems. 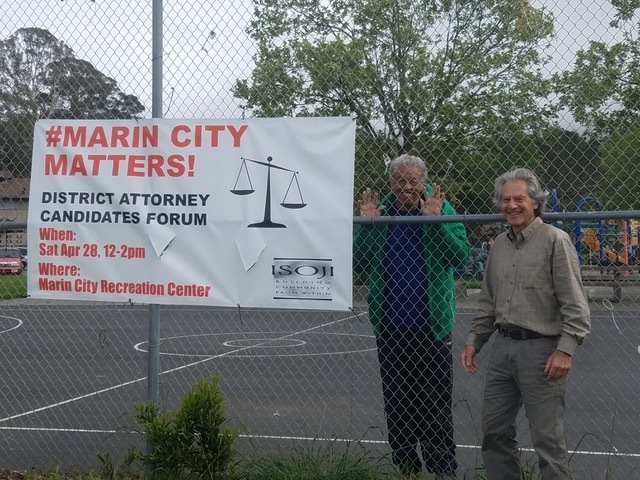 "GO Team", which coordinates activities with Swing Left Marin in Tracy, requires a monthly commitment for canvassing. (You can share the commitment with another person, for example, canvassing in alternating months). You can come for an initial canvassing day and "test drive", whether or not you want to commit to canvassing one day a month going forward. 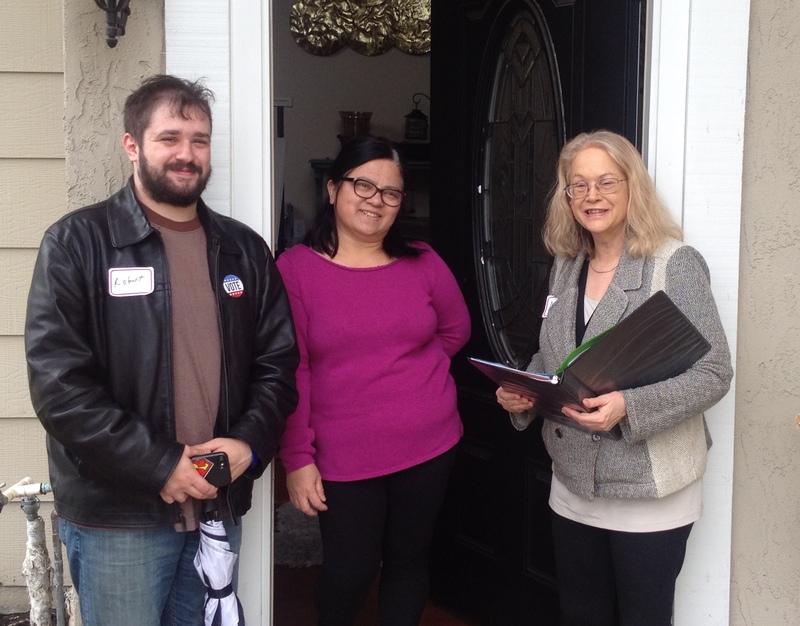 Join MVCANers for Door Knocking! We may have to place a limit on the number of volunteers we can accept for each event, so please sign up now if you are interested. 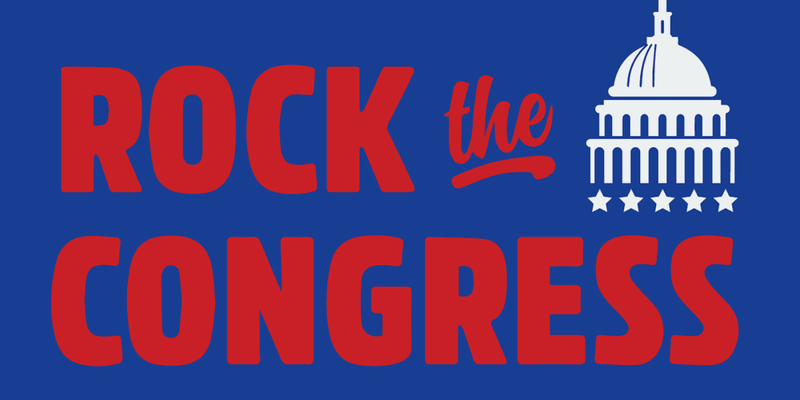 If you missed the ROCK THE CONGRESS in San Francisco last month - you will have another chance to join in at the NAPA ROCK THE CONGRESS on Sun, April 15. Come and listen to Becky Bond, advisor to Bernie Sanders, Donnie Fowler, co-founder of Dem Labs, Heather Hargreaves, EVP at NextGen America, and Mike Thompson, Congressman from CA-5. The MVCAN Women's Rights Team is excited to support the Donate a Doula program at the Marin City Health and Wellness Center. The center was founded in 2006 to provide accessible primary care for low-income families of a historically African American community. 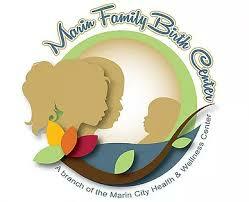 They serve patients of all ethnicities from 4 clinic locations in Marin and San Francisco. The newly launched doula program will provide necessary support and education for new mothers and families. Please help the MVCAN Women's Rights Team reach the program's initial $6,000 goal. Click the DONATE button on marinbirth.org/donate. 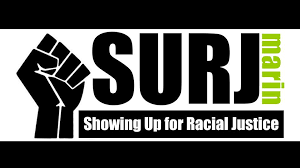 SURJ (Showing Up for Racial Justice) is a national group that supports white people in becoming more effective allies in the multi-racial movement for racial justice. Through community organizing, mobilizing and education, SURJ moves white people to act as part of a multi-racial majority for racial justice with passion and accountability. 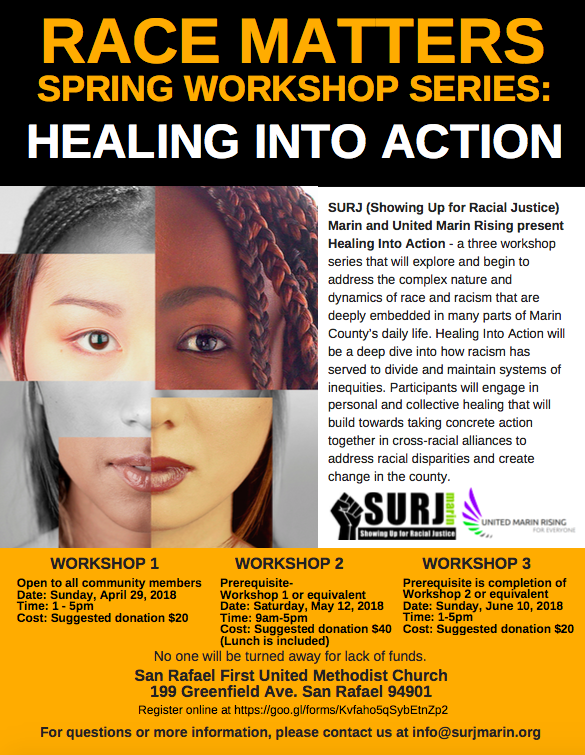 This spring, a three-workshop series “Healing Into Action” will be sponsored by SURJ Marin and United Marin Rising. Workshop participants will participate in personal and collective healing that will build towards taking concrete action together in cross-racial alliances to address racial disparities and create change in the county. June Cooperman, Sue Fishman and Rebecca Brackman at an ICE protest in SF earlier this year. To support our immigrant communities in very difficult and uncertain times, the MVCAN Civil Rights/Immigration team is working together with the Canal Welcome Center’s Marin Rapid Response Network. A few weeks ago we saw ICE activity in Marin. Parents became so fearful they kept their children home from school. Read here. HOTLINE cards are being distributed with concise directions for folks to follow should they encounter immigration officials. Some members of the Civil Rights/Immigration team are now trained by Marin Rapid Response Network to become Legal Observers to help monitor ICE activity. When ICE activity is reported, trained Legal Observers will be deployed to a specific area within Marin County to "document" the situation. You do not need to have a legal background or be bilingual to become a Legal Observer. WE NEED MORE VOLUNTEERS. Come help us keep the ICE honest and within the law! Volunteers don’t just do the work ~ they make it work. MVCAN needs your help. Whether a few hours a week or a few hours a month, you can make a difference by volunteering with MVCAN. Are you connected, or do you want to learn the inner workings of PR? 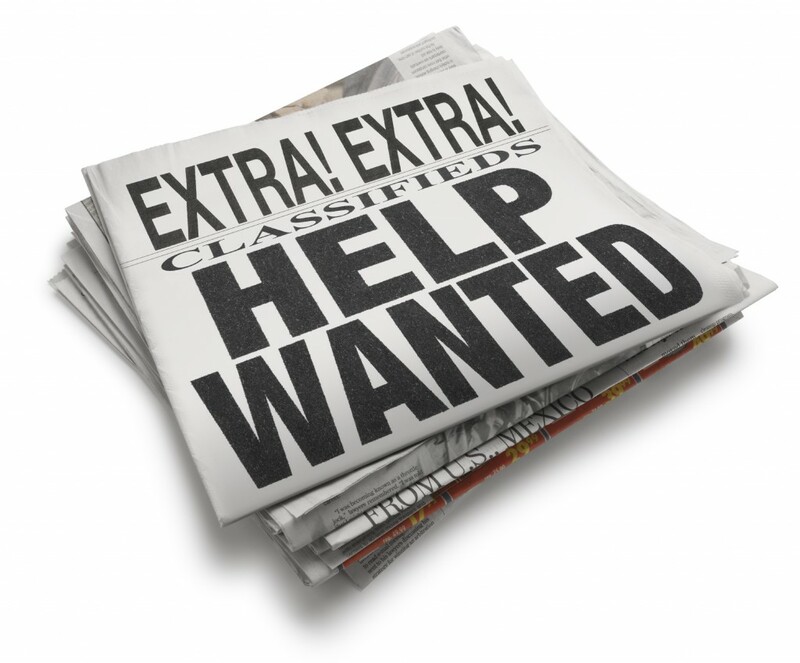 Lead or help with PR efforts for MVCAN: Develop media lists, send press releases to local media, pro-actively work with the Events and Issues teams to create a promotions schedule and promote events, activities and meetings; if desired, develop and train a volunteer PR team. Be a connector! Help create the MVCAN Weekly News aka the WAG. Support MVCAN by preparing the weekly MVCAN News. Content is provided. Your help is needed to transfer content into MVCAN's email program. While knowledge of HTML is not needed, it could be helpful on rare occasions, to troubleshoot. Added benefit: If you want to learn simple HTML, we can help. This job can be shared. Help with a crucial communications tool. Help keep the MVCAN web site up to date by inputting calendar items from the Wag and perhaps helping team members with their pages. No knowledge of HTML needed. The system is "drag-and-drop". Training offered, if needed. To volunteer for these important jobs, or to offer other skills/talents to MVCAN, contact Debra, our new Volunteer Coordinator, at volunteer@mvcan.org. Thank you!